Amerin Residence, Balakong, Cheras Selatan comprises of 608 units serviced apartments with club house facilities sitting above 3 level of boutique shopping mall with more than 660 car park available. Sprawling over 5.1 aces of freehold land with nearby SILK highway and accessibility from all directions, high traffice and great visibility. There are two tower, that is Tower A and Tower B, each Tower had 304 units serviced by 4 lifts. An ideal place to live, play and relax in style and security. Every day is like staying in a hotel-inspired environment. Enjoy the bliss of cosy guarded residences with all the privileges of a world-class retail & lifestyle podium right at the doorstep. 3-tier security system, privacy and security are top on the list, Amerin ensures peace of mind with a privileged security access system to residential unit. A sky-garden where everyone at Amerin can get back to nature amid a green space in the sky. Posh private entrance, private access to the mall section, 100,000 square feet of landscaped and club house facilities, 40 meter swimming pool, 2 badminton courts, sky garden on 27th floor, ample private car park, exclusive urban living. Apartment got 2+1 rooms and 3+1 rooms respectively. Ground floor shopping mall. Nearby 99 Speedmart, AEON Jusco Shopping Mall. Taman Puncak Utama, Balakong, Kajang. Selangor. Freehold, Double storey terrace house, intermediate, 22 feet x 65 feet, or land area 133 square meter ( 1430 square feet). Kitchen fully extended, Kitchen table top. Semi-furnished. Next to Jade Hill, Seri Kembangan, The Mines, Sungai Besi highway, the SILK highway. Kajang. Imperial Residency Batu 9 Cheras. Imperial Residency is located in Cheras Legenda Mas, in the establish area of Cheras with easy from Cheras & Kajang Highway before the Cheras Batu 9 Toll which is 20 minutes away from the city. Imperial Residency was located with convenience in mind, it has schools, Giant Tesco hypermarkets, shop lots as well as shopping malls nearby. Imperial Residency Cheras offer landscaped roof garden, a fusion of two of the best thing in life; leisure and the beauty of the nature. Total Seven different layout, 1139 square feet. Residents can enjoy the facilities such as CCTV, access card system, pool, Squash, Sauna, Sky Gym, Sky tea garden, Resident's lounge, BBQ, Children Playground, Function Room. Easy access to Leisure Mall, Mid Valley via the East-West Express Link. With up coming up MRT located near Taman Suntex. D'sands Residence, Old Klang Road, Kuala Lumpur located in the south of Klang Valley, D'sands residence situated on solid freehold land with approximately 2 acres land area. Comprises of Block 1 and Block 2 total of 365 units consist of 8 type of layout from 730 square feet to 1335 square feet, with this type of layout D'sands residence suitable for single to 5 - 6 family members. Today Old Klang road is close to all amenities such as Hypermarket, Hotel, Shopping Gallery, Commercial office, warehouse, food court, hospital, and many type of different shops along the long Old Klang Road. From here easy to access to NPE highway, KESAS highway, Besraya highway, Bukit Jalil highway, and from this highway can lead to Cheras, Puchong, Putrajaya, Port Klang easily. Conveniently by foot just about 100 metre (1 min) to KTM station and by taken the train to Mid Valley Mega Mall, KL Eco City, KL Sentral. Casa Desa, Taman Desa, Old Klang Road located at Kuala Lumpur Seputeh area, 900, 1100, 1355 square feet, 2 bedrooms or 3 bedrooms, 2 bathroom, high floor or low floor with balcony and extra small garden, unblock view, fully furnished, new furniture, full condo facilities, car park. near Hospital, Tesco Hypermarket, many shops, many banks, near Mid Valley. Easy access to Federal highway, Cheras-PJ highway, NPE Sunway Subang highway, SMART Tunnel Bukit Bintang Short-cut, Putrajaya-KL highway. One Petaling Residences @ Commerz Sungai Besi located just beside Besraya Highway of Sungai Besi. Close to Bus Terminal Station at Bandar Tasik Selatan, near Salak South, Kuchai Lama, Seri Petaling, Desa Petaling, Seri Kembangan Serdang, Old Sungai Besi, and Lake Fields Sungai Besi. 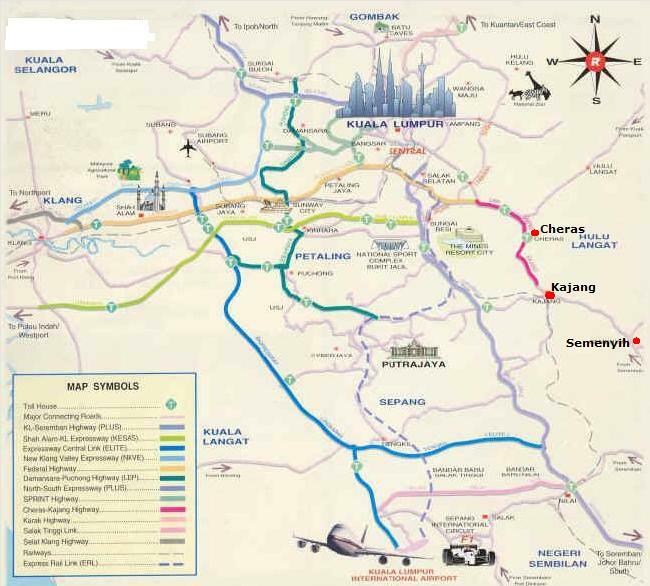 Well connected to many highway such as MRR2, Kesas, KL-Putrajaya highway, KL-Seremban Highway, Balakong Silk highway. University Putra Malaysia and UCSI university college is just about 10 minutes drive. Bus stop is just stone throw away, near Sungai Besi LRT station. 99 Speedmart mini market and restaurant ready to serve the community here. Kuchai Avenue Serviced Residence, Kuchai Lama, Klang Lama Located in one of the mature neighbourhood with majority of chinese people stay here, it is full of facilities, convenient, and amenities in the surrounding area. Kuchai Avenue consist of 2 level Commercial shop office and 24 level of Serviced Apartments. Total land area 5 acres, with multi-storey car park, swimming pool, wading pool, children playground, landscape garden, 24 hours security, access smart card in the lift lobby area. Built-up area is 935 square feet, standard only one design and only one size. Quality floor tiles finishing, laminate flooring, ceiling height ceramic tiles in the kitchen and bathrooms keep it clan and fresh all the time. Strategically located and conveniently connected to the city by major expressway going places is so easy ... KESAS HIGHWAY, SEREMBAN HIGHWAY, OLD KLANG ROAD, LDP(DAMANSARA-PUCHONG), NEW PANTAI EXPRESSWAY, FEDERAL HIGHWAY, MRR2, KL-PUTRAJAYA.HIGHWAY. Happy Garden Meadow Park Shop-Apartment Freehold, 3 bedrooms, 2 bathroom, 1 kitchen, 1 laundry area. Good location, Easy connected to Kuchai Lama, Sri Petaling, Bukit Jalil, OUG, Klang Lama (Old Klang Road), Petaling, Sunway. Currently tenanted. Original developer is Talam group of company. No security guard. No management office. No monthly maintenance fee. Taman Yarl OUG Kuala Lumpur Freehold land property. Easy access road via OUG, Old Klang road, Kesas highway, MRR 2, Sungai Besi - Puchong highway. Some electrical equipment installed, such as down light, garden light, gate pillar light, auto gate, alarm system with smoke detector, CCTV Surveillance system. For bungalow additional equipment are air conditioner,jaguzzi, solar heater, exhaust fan. E-Tiara Subang Jaya few choice units, 2 bedroom type and 3 bedroom type. part furnish. Next to Subang Parade shopping complex and KTM komuter. Swimming pool, Gyms, Squash court. OG Height Condo Taman OUG located at Klang Lama, near to OUG Plaza. fully furnished 2 bedroom 1 bathroom apartment, low floor, facing guard house. Midfields Sungai Besi by YTL located at the junction between Sungai Besi and East-West Elevated Highway, next to Taman Sungai Besi, Opposite Salak South New Village. All units have air-conditioning installed in the master bedroom and in the living room. There is also an option of a dry and wet kitchen in the yard. There is also 24 hour security with CCTV to ensure the safety of residents. Other facilities include a gymnasium, park area, swimming pool, badminton courts and squash courts. Football lovers will also love the fact that there are fustal courts available. Midfields is accessible from 4 major highways – the Federal Highway, Metrama East-West, Besraya, and KL-Putrajaya. It is also located close to trains for the urban warrior who prefers to avoid traffic jams. The nearby train stations are Salak Selatan and Bandar Tasik Selatan stations. 10 minutes drive to Mid Valley Mega Mall. Cheras, Bandar Damai Perdana Freehold, Brand new double storey corner link house, built-up area 2690 square feet, land size 24 x 75, security gated and guarded, playground, close to School and Shops. Chinese Primary School nearby. Short distant to Balakong, The Mines, Cheras South AEON Jusco Shopping Mall. Mature residential area. Mont Kiara Pines Condominium Freehold, Three Blocks. About 30 storey each block. 1430 square feet ( 133 sq metre ). Within 10 minutes walk to Mont Kiara International School. Expatriate community area, Japanese, Korean, English. Close To Shop, Next to Shopping Mall, Convenient store. Shuttle Bus available to Publika Shopping Mall. One of the condo with full facilities including 2 swimming pool, 2 tennis court, Gym, Kindergarden school. Mont Kiara Aman Resort Condominium Freehold, Two Blocks, Total 345 units. development land area 5.8 acres. The neighborhood of Mont Kiara Aman includes the Kuala Lumpur Golf and Country Club, Bukit Kiara Equestrian and Country Resort, Garden International School and Mont Kiara International School. So, there will be no need to worry on education if you are planning on sending your children to international schools. The nearby country clubs will cater to the needs of the residents for recreational and interactive activities. Mont Kiara Aman is also located in a strategic area where shopping malls and grocery stores can be easily accessed. You will be looking at about five to ten minutes by foot to the nearest shop houses. This would be quite convenient for residence to get food supplies. Mont Kiara KiaraVille Condo Kuala Lumpur Total 404 units, opposite Solaris, Built-up area 1593 square feet, 3+1 bedroom, 2 bath, part furnish or full furnish for rent. Glass sliding door from dry kitchen to wet kitchen, Granite vanity counter and bath tub trimmings in bathroom, Fully air conditioned. Minimum one year tenancy agreement. Mont Kiara Banyan Condo Kuala Lumpur brand new condominium, next to Mont Kiara International School. Freehold, 1838 square feet / 2300 square feet, 3+1 / 4+1 bedrooms, 4 bath, kitchen cabinet ready, wet kitchen, electrical appliances, swimming pool, Gym, playground, sauna, tennis court. key card access, 24 hours security. CCTV. 6 level carpark. Total 147 units only. Each floor 5 units, maintenance service charge RM$0.30 per square foot. Wendy Fast food restaurant just next to guard house. Near Plaza Mont Kiara and Cold Storage at Solaris. Easy access to Kuala Lumpur and Petaling Jaya via Sprint highway and NKVE. Mont Kiara iZEN Kiara I freehold, 805 sq feet, 1 room 1 bath, 1 powder room, built-in cabinet, kitchen cabinet, air condition. 913 square feet, 2 bedrooms, 2 bath, full furnished. 24 hours security with CCTV. Swimming Pool, Jacuzzi, Squash, Gym, Playground. Few minutes walk to Plaza Mont Kiara shopping mall. Well connected with NKVE, Sprint Highway, Penchala and Kerinchi Link. Easy access to Petaling Jaya, Damansara, One Utama, Bangsar, Mid Valley, Kuala Lumpur. High floor, 2 car park, 2200 square feet, 3+1 bedrooms, 2 bathroom, fully furnished. Mont Kiara Vista Kiara freehold, 3 bedroom, 2 bath, Block B, balcony, high floor, good view, built-in cabinet, kitchen cabinet, air condition. fully furnished, 1 car park. Swimming Pool, Tennis, Gymnasium, Basket Ball, cafe, 24 hours security. Total 25 floor. Minimum one year lease agreement. Opposite Garden International School. close to Plaza Mont Kiara and Desa Sri Hartamas Business Centre. Mont Kiara Kiaramas Sutera freehold, 1675 sq feet, 3+1 room 3 bath, Block B, balcony, low floor, tennis court view, built-in cabinet, kitchen cabinet, air condition. fully furnished, 2 car park, . Swimming Pool, Tennis, Gymnasium, 24 hours security. Minimum one year lease agreement. Mont Kiara Casa Kiara freehold, 1268 sq feet, 3+1 room 3 bath, balcony, built-in cabinet, kitchen cabinet, air condition. fully furnished, Swimming Pool, Gymnasium, cafe, 24 hours security. Minimum one year contract. Mont Kiara Kiaramas Cendana freehold, 4600 square feet, duplex, 6+1 bedrooms, 7 bathroom, 4 car parks, Nice city view, located on top of the hill of Bukit Kiara. Mont Kiara Lanai Kiara freehold, 4300 square feet, duplex Penthouse, 4+1 bedrooms 5 bathroom, 2 car park. Full facilities. located on top of the hill of Bukit Kiara. Hartamas Regency 1 Mont Kiara Kuala Lumpur 1181 square feet and 1480 square feet, 3 bedrooms, 2 bathroom, fully furnished, key card access, swimming pool, Gymnasium, Kindergarden school, mini grocery store, laundry, Sauna, reading room, car park, very close to Mont Kiara, International school, next to Solaris Dutamas Business centre, near Matrade, Segambut, Jalan Ipoh, Sentul, KL Sentral, Bangsar, Damansara Height. Easy road access via Jalan Kuching, Sprint highway, Jalan Duta. Minimum one year lease. Hartamas Regency 2, Mont Kiara Kuala Lumpur located within the Mont Kiara area, few minutes walk to Solaris and Cold Storage Supermarket. Near Sri Hartamas and New King Palace. Standard unit apartment come with 1315, 1320, 1675, 1887, 1996 square feet, Semi-furnished or Fully furnished with brand new furniture and built-in cabinet. Long term lease agreement. Duplex unit apartment available sizes start from 2353 square feet, up to maximum 3380 square feet, Semi-furnished for Rent. Windsor Apartment Sri Hartamas Kuala Lumpur Fully furnished, 500 square feet, Studio, high floor, balcony, living hall, bathroom, kitchen, TV, Fridge, double bed, toaster. 24 hour Security - Swimming pool , Gym - children play ground - community center - super market - shopping mall - pharmacy - western & eastern food outlets restaurants. Waldorf Apartment Sri Hartamas Kuala Lumpur Fully furnished, with Kitchen Cabinet, KING-size Bed in master bedroom, Queen size bed in 2nd room , huge wardrobe for each room , 1 + 6 Dining Table & chairs , 2-door refrigerator, plaster-ceiling with concealed and down lights, 3 units of air conds and a ceiling fan, water heater s for each room , 32" LCD TV Panel + DVD Player, L-Shape Sofa + working Area , Washing Machine. High floor,facing south. 2 + 1 bedrooms, 3 bath. 1130 square feet. Mont Kiara Kiaramas Ayuria Condo freehold, 1700 square feet, 3 bedrooms, 2 bathroom, 1 maid+1 bath, 1 powder room. full furnished with Beds, Sofa Set, Closets Wardrobes, Curtains + Blinds, Dining table, Full-Length Mirror, TV, DVD, Electric Oven, Gas Stove, Refrigerator, Washing Machine, Clothes Dryer. Kiaramas Ayuria located at the hilltop of Mont Kiara Kuala Lumpur. high floor with spectacular views of KL and the natural rainforest hill of Mont Kiara. Swimming Pool, BBQ, Sun Deck, Gym, Tennis Court, Children Playground, car park, security with card access. Near Shopping mall, shops, international school. Changkat View Condo, Segambut, Kuala Lumpur Fully furnished, KLCC twin tower and KL Tower view. Few minutes drive to Mont Kiara Solaris. 20 minutes walk to French International School Kuala Lumpur. Sri Hartamas Duta Nusantara Kuala Lumpur Freehold Land area 4000 square feet, Built-up area 3600, Double storey Semi-Detached House, 5+1 bedrooms, 6 bath, fully furnished, tenanted, idea for investment, 2 years tenancy at monthly rental RM17K. Next to Mont Kiara, easy access through many expressway. Mont Kiara 10 Total 332 units. 2 towers, 43 storey, 4 units per floor. Freehold, built-up area 3478 square feet, above 30th floor, Genting, KL, King Palace view, 3 car parks, 4+1 rooms with ensuite, covered lanai. Infinity pool, Reading lounge, Children's pool, Sauna, BBQ, Reflexology path, Children playground, Tennis, Gym, Indoor Golf, Badminton, Half Basketball court, 24 hours Security, car wash area. Private lift lobby, landscaped gardens with water features. Near Solaris commercial area. Sale or Rent. Bukit Kiara Residence, Sri Hartamas, Kuala Lumpur 3 storey semi detached house, 5+1 rooms, 5 bath, land area 4000 square feet, built-up area 3800 square feet, freehold, partially furnish, Club house with swimming pool, squash room, Gymnasium. Gated with 24 hours security. 5 minutes drive to Mont Kiara International School and amenities. 30 minutes drive to KLCC Twin Tower. Wangsa Maju Alpha Villa Condo 1070 square feet, 3 bedrooms, 2 bathroom, low floor, KLCC view. 5 minutes walking to Wangsa Maju LRT train station and Jaya Jusco shopping Mall. Near Mosque. Currently tenanted to student. Good investment, easy to rent out. Tropics @ Tropicana City Mall Petaling Jaya 716, 1040, 1170 square feet, 2, 1+2 bedrooms, 2 bathroom, full furnished. Swimming Pool, Gym, Sauna, Squash. 24 hours security, card access system. Car Park. Ground Floor Tropicana City Shopping Mall, Carrefour. NKVE highway. SS 2, Damansara Utama, One Utama, Taman Tun Dr Ismail, Kiara Golf Club. Sunway Ridzuan Condo Built up area 930 square feet, 2 bedrooms, 2 bathroom, Kitchen cabinet, wardrobe, air conditioner, washer, Fridge, Table, Sofa. Swimming pool, Tennis. Convenient store, restaurant. 24 hours security. Near to few university college in Sunway, Sunway Pyramid shopping complex. Wangsa Maju Desa Putra Condo Leasehold, 1266 square feet, partially renovated, comes together with 3 air-cond units, water heater, sofa, dining table, kitchen cabinet, fridge, 2 queen size bed, wardrobe in master bedroom & electrical fixtures. Close to Carrefour shopping complex, Cold Storage, Wangsa Walk Shopping mall, Cinema. AEON Jusco, Rampai LRT station. Easy access via DUKE highway, MRR 2 Highway. Idaman Sutera Condo 845 square feet, 3 bedrooms, 2 bathrooms, kitchen, dining and living hall, balcony, renovation or basic design, cover parking, opposite Lee Rubber Chinese Primary school, swimming pool, 24 hours security, Gymnasium, Tennis court, Badminton. Unfurnish or Part furnish For Sale and Rent. Near TAR college, University International Islamic School (UIA) Gombak, Setapak, Karak Highway. Idaman Puteri Condo, Gombak Built-up area 1400 sq feet, 3+1 rooms + 1 store room, 3 bath, air condition, kitchen cabinet, built-in cabinet, swimming pool, squash court, gymnasium, sauna, playground, cover car park, gated 24 hours security, Opposite Lee Rubber Primary Chinese School, walking distant to shopping mall and shops, Bus stop, Taxi, very convenient. Near University International Islamic School (UIA) Gombak, The International School of Kuala Lumpur (ISKL), TAR college univeristy, Melati LRT or Wangsa Maju LRT train station, Jusco Wangsa Maju. Giant, Columbia Hospital, PV 128, Setapak Central Mall, Short walking distant to Ong Tai Kim Gombak. Setapak Danau Kota PV10 Lake Condo 1270 sq feet, 4 rooms, 3 bath, semi furnish, For Rent. Near TARC college University, UIA, Wangsa Maju LRT staion, Gombak, Batu Caves. Melati Utama PV 6 Condo Setapak Freehold. Built-up area 1370 square feet, 4 bedrooms, 2 bathroom, Full furnished. Facilities include Swimming & Wading Pools, Children's Playground, Extensive Landscaping, Gymnasium, Launderette, Mini Market, Multi-Purpose Hall, Car Wash Area, Surau, Satellite MATV Ready, CCTV & 24-hour Security Service. Card access, 24-hour security. 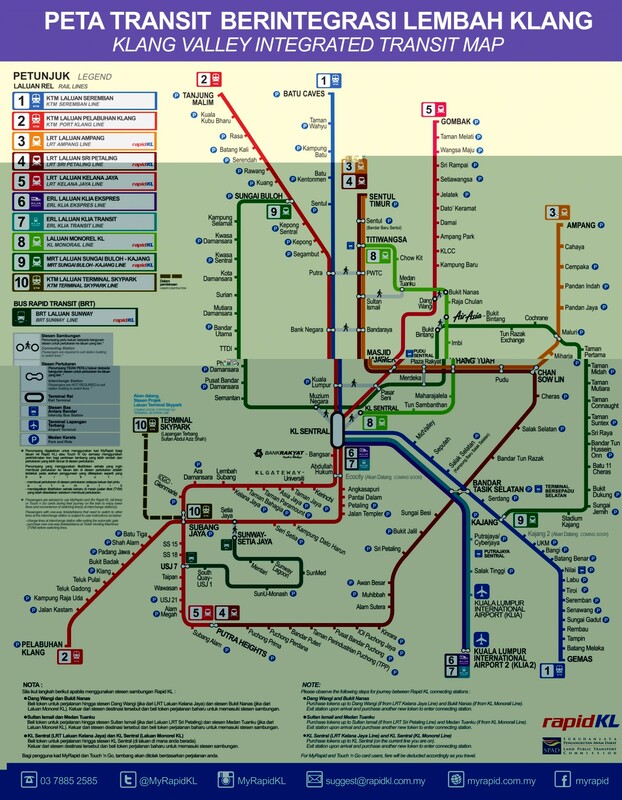 close to Melati Putra LRT station, via MRR 2 can go to Ampang, Cheras, Batu Caves, Kepong , Damansara, Sungai Buloh, Selayang, Genting. Platinum Hill PV 5 Condo Setapak Freehold. Built-up area 1272 square feet, 4 bedrooms, 2 bathroom, Full furnished. Facilities include Swimming, Children's Playground, Gymnasium, Launderette. Restaurant, Mini market, laundry at the ground floor of the Condominium. Near by PV7 3 storey Retail business lot include 99 Supermarket, Food Court, Internet Cyber Cafe. Platinum Hill PV5 it is just a few minutes walk out the door to your favorite conveniences. The Taman Melati LRT station is just 5 minutes away, while the MRR2 links up with the DUKE highway, just 10 minutes away, taking commuters quickly into the city center or even to Cheras, Ampang or Damansara in 15-20 minutes. UTAR, Kolej Tunku Abdul Raman, Sayfol, Fairview and Sri Utama International Schools along with public primary and secondary schools are amongst the notable educational institutions that surround the area. Taman Melati Utama is surrounded by neighboring communities like Kampung Wira Jaya, Desa Melawati, Gombak Setia and Taman Bunga Raya. Platinum Lake PV20 Condo Setapak Leasehold. Built-up area 1378 square feet, 3 bedrooms, 2 bathroom. 2 covered car park lot. Impressive grand entrance lift lobby. Facilities include swimming & wading pools, gymnasium, clubhouse, mini-market, cafeteria, saloon, children's playground & nursery, house keeping services, covered car park and satellite MATV-ready. Card access, 24-hour security. Within the matured Setapak township. Within walking distance to UTAR and TAR college, and close to Wangsa Maju or Sri Rampai LRT Station, Jaya Jusco, AEON Big (Ex-Carrefour) & Giant Hypermarket. Other amenities in the vicinity include Tawakal Hospital, KL General Hospital, Titiwangsa Lake Garden, Chinese Primary (Wangsa Maju, New Chinese School), many secondary schools surrounding and an international school (Pre-school, Primary and Secondary). Heritage Condo 3 bedrooms, 2 bathroom, fully furnished, Gymnasium, swimming pool, Rapid KL bus transport available at the road side Jalan Pahang, near Titiwangsa Lake and Titiwangsa LRT and KL monorail, General Hospital, next to Chong Hwa chinese primary school, very near International school of Music, and Setapak. Setapak Green Condo Freehold, Two Blocks. KLCC View and Genting View. Shop walking distant to Shops, Diamond Square, Chinese Primary School, SMK School. Easy access to DUKE Highway. Kyoto Garden Bukit Antarabangsa leasehold, highrise, 3 rooms, balcony, basic, greenery, quiet. 3 minutes to Giant Supermarket. Easy access to MRR2 highway and DUKE Highway. Sentul East The Saffron Condo 3 bedrooms, 2 bathroom,1085 square feet, 1 car park or 2 car park choice units. Good location, 5 minutes walk to KTM komuter, 20 minutes walk to Sentul LRT station. 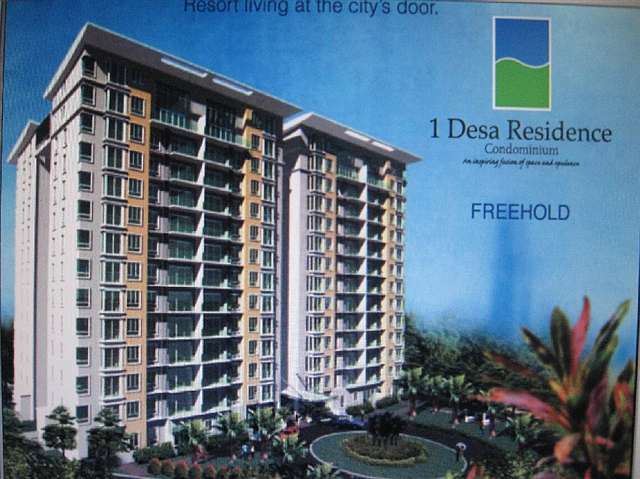 Diamond Regency Condominium Setapak 2 bedrooms, 2 bathroom, 870 square feet, high floor, pool view and Gombak view. Bare Unit. Security card access to your own floor, swimming pool, Gym, Playground, Function room, Sauna. Car park. Next to Diamond Square Business centre, close to Setapak town. Few minutes drive to Titiwangsa, Sentul, Wangsa Maju, TAR college, LRT station.